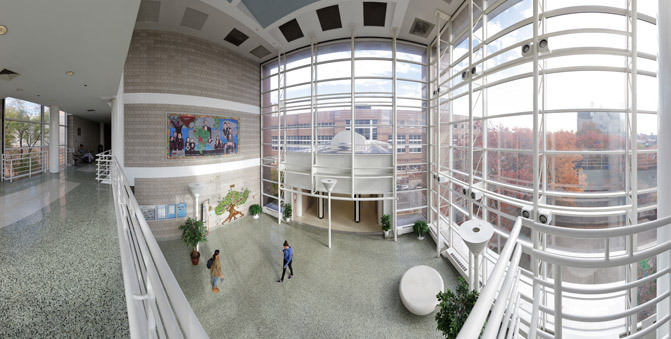 Hostos Community College is an educational agent for change, transforming and improving the quality of life in the South Bronx and neighboring communities since 1968. Hostos serves as a gateway to intellectual growth and socioeconomic mobility, and a point of departure for lifelong learning, success in professional careers, and transfer to advanced higher education programs. The College’s unique "student success coach" program, which partners students with individualized guidance, is emblematic of the premier emphasis on student support and services. Hostos offers 27 associate degree programs and 2 certificate programs that facilitate easy transfer to The City University of New York (CUNY) four-year colleges or baccalaureate studies at other institutions. The College has an award-winning Division of Continuing Education & Workforce Development that offers professional development courses and certificate-bearing workforce training programs. The Hostos Center for the Arts & Culture (HCAC) is one of the pre-eminent Latino arts centers of the northeast. The HCAC has distinguished itself for showcasing traditional art forms as well as emerging and internationally renowned artists. Hostos Community College is part of CUNY, the nation’s leading urban public university serving more than 500,000 students at 24 colleges.